Once again I'm moving (I feel like I'm always moving!). However, I'm getting to move out of my tiny little microscopic one room studio that is less than 300 square feet and into a one-bedroom apartment. That means I get an actual living room that is separate from my bedroom. Can you believe it? I will finally be able to have a couch that is bigger than a love seat and I get to have a real coffee table! I'm so excited! Now I get to go shopping for new furniture. 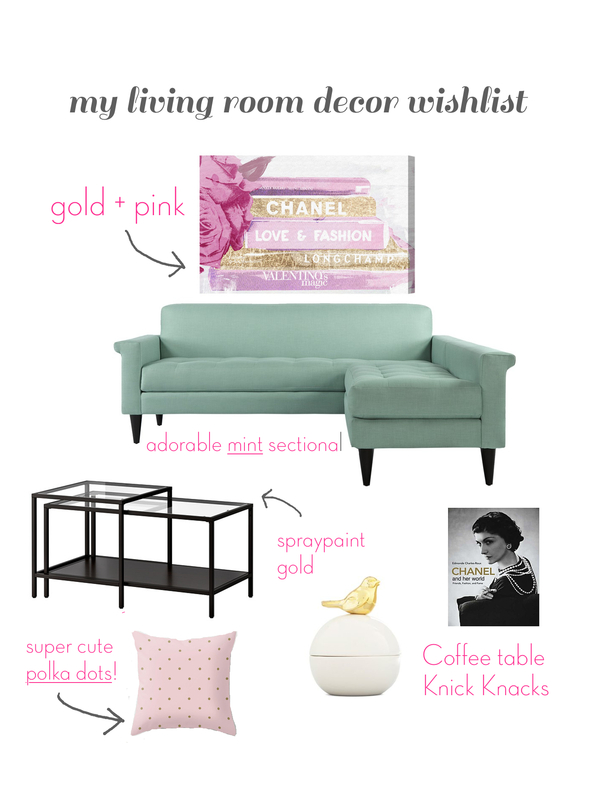 I love a pink, gold, and mint color scheme for my living room. It says feminine, but classy and chic. I wanted to share with you my living room wish list as I plan the look of my new apartment. I can't wait to show you photos of the actual apartment once I get moved!